SUNWELL Flexible Packing Extractors are the most rugged tools available for packing tools kits. The flexible shaft is constructed of twisted steel cable which easily conforms to close working conditions. 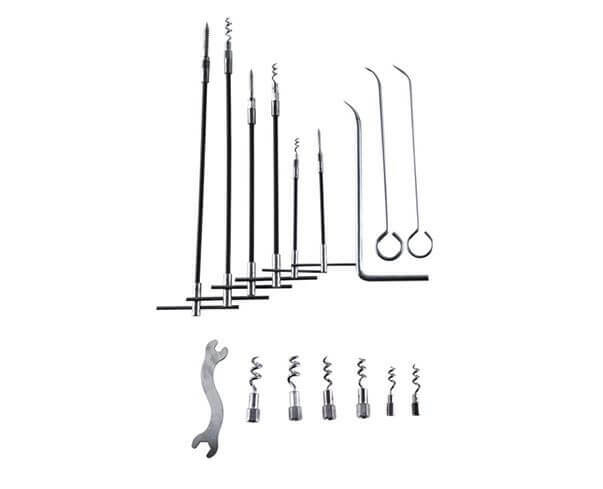 The corkscrew tips are swaged on the steel cable, not welded. Made of tempered steel, the tips will not straighten out during packing removal.